With second-screen TV consumption rising, Facebook has pledged to reimagine its video ad strategy. Why it matters: In a statement, the tech giant concedes that "smartphones are not tiny televisions," and that their platform needs to adapt to service quick, relevant mobile experiences — something Snapchat has also focused on in building mobile-first Snap Ads. As Facebook readies itself to move into the original content sphere alongside all of the other major social tech giants, these updates and shared tips will be necessary in ensuring advertisers produce high-performing video ad campaigns on mobile. Invest in more granular reporting metrics, including a "more visual measurement solutions" that help advertisers understand how ads perform across different platforms. Just two weeks ago, Google announced an updated analytics platform that will help marketers measure how Google ads perform across platforms. Between the lines: Facebook makes the majority of its money on advertising and 85% of its advertising revenue comes from mobile. But because newsfeed ad inventory plateauing, the company warned investors they should expect ad revenue to "come down meaningfully" in 2017 while they sort out their video strategy. So far, Q1 and Q2 earnings suggest that revenues have yet to come down, but ensuring advertisers have effective and accessible video advertising options as second-screen video watching skyrockets will be paramount to deterring that from happening. Build brand new, short-form, mobile creative. (Mobile content should "echo" content people are used to seeing on TV but should be done using quick, mobile-first techniques, (think swiping and tapping through scenes). Re-organize to test and measure ads on a weekly cycle, not every 6 months: Mobile is evolving too quickly not to monitor campaigns frequently. Measure results, not seconds. It's true that this new world is complex, but it's worth the investment to map it. To do this digital reconnaissance, it's crucial to measure business value and results on a per-creative, per-platform, per-audience basis. An advertiser's ability to measure the right things properly will be the biggest predictor of their mobile advertising success. Don't try to equate disparate platforms. 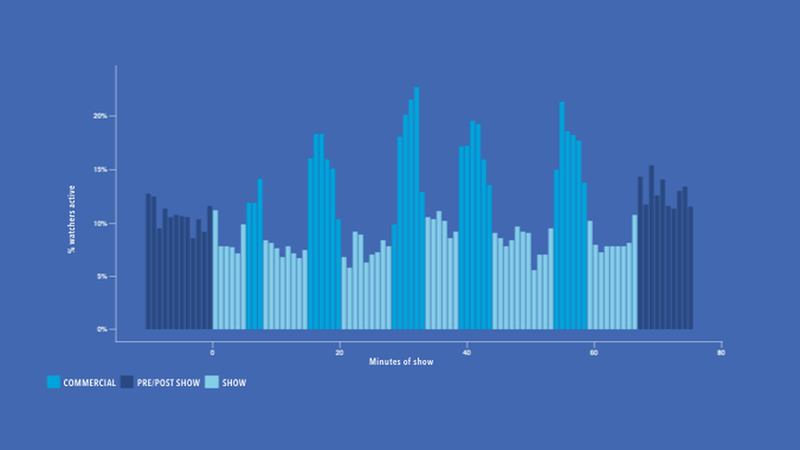 For example, a 10-second ad break should look different from a 30-seconds ad break. Big quote from the post by Mark Rabkin, VP, Core Ads, Facebook: "Facebook isn't Youtube, Youtube isn't Search, Search isn't Snapchat."